Locally developed twenty four sunflower hybrids were appraised for different agronomic traits to assess genetic specifications, genetic divergence, and correlation coefficient, direct and indirect effects of eight characters towards seed yield under field condition. 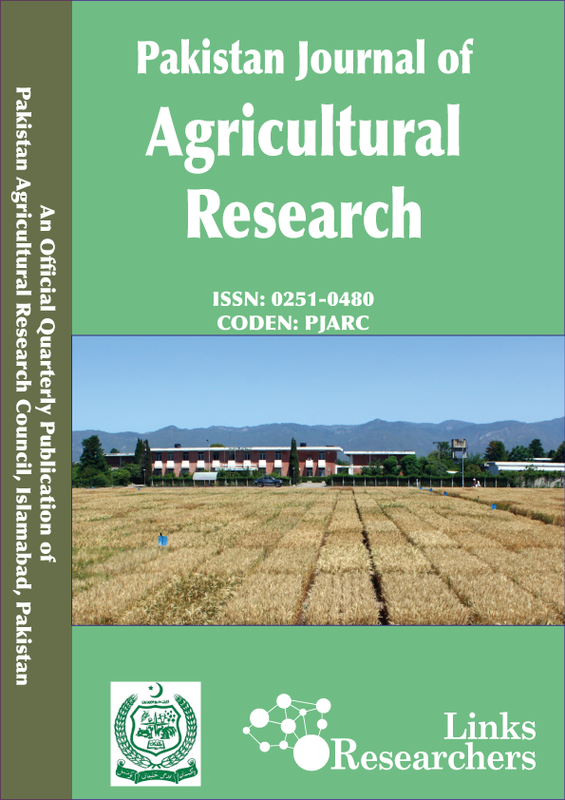 Experiment was conducted according to RCBD design at NARC (National Agricultural Research Centre), Islamabad during year 2015. Data were recorded on Days to flower initiation, Days to flower completion and Days to maturity, 100 seed weight, oil content percentage and Seed Yield. Results of ANOVA revealed that there is remarked variation among all hybrids under study for seed yield and other allied character while non-significant differences were observed for replications except days to flower initiation. In the present study both positive and negative correlations were found between different traits. Days to flower initiation (DFI), days to flower completion (DFC) and days to maturity (DM) contribute positively and highly significantly with plant height (PH) for both genotypic and phenotypic level. Correlation between plant height and oil content was found to be highly significant and positive. Seed yield had positive association but non-significant with DFI, PH 100SW, HD and OC percentage while negative association with DFC and DM. DFI, DFC, HD, 100 SW and OC percentage contribute positively toward seed yield. Present study depicts that for improvement in yield, HD and oil content should be given top priority. Based on WARD’s method genotypes were assigned into seven clusters at 25% linkage distance. Hybrids in Cluster II and IV with high seed yield and oil content were selected as desirable hybrids and suggested to exploit further under diverse environments.